"This fruit salad tastes exactly like that fake, red fruit punch mix, only with really healthy, delicious ingredients! Our son loved it, and so did we! It is the perfect summer treat." 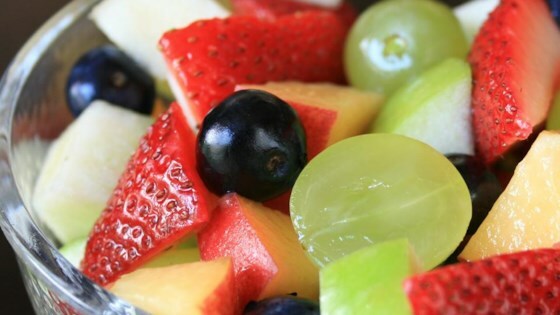 Mix grapes, strawberries, peach, blueberries, and apple together in a bowl. Pour orange juice over fruit salad and stir.